Your comfort is the biggest consideration. The items that affect your comfort will be the Type and Size of the boat, getting on and off that boat, time of day and weather patterns. Where the tour leaves from could affect your comfort as well. Catamarans and larger boats allow you to get up and move around the boat and have a cabin to retreat to for shade, getting out of the wind and of course restrooms. Most will serve soda, snacks, and some cases appetizers and full bar. This type of boat will afford the most comfort as they are more stable, think motion/rocking, and smoother ride. Rafts (Rigid hull inflatables) are the best for visiting more whale sites (sightings) and will get to the next area faster. These type of boats have a bumpier ride and increase the risk of getting wet. These are comfortable, but usually you will staying in your seat. The folks seated on the whale side of the boat are required to remain seated so the other side can stand and still see the whales. The Captains are good positioning the boat with the sun in the background for better sighting and photo ops. Time of day affect whale activity? Yes—and no. It all depends on your desired comfort and good old fashioned luck. 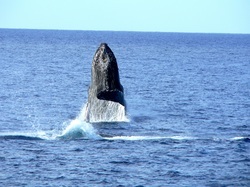 Humpback Whales are known for the surface behaviors and are totally random depending on their activity. The Humpback Whales are here to make and have calves and the type of behaviors will depend on what is going on at the moment. Morning - Typical Maui weather patterns mean that morning hours are glassy and calm and afternoons are choppy and windy. 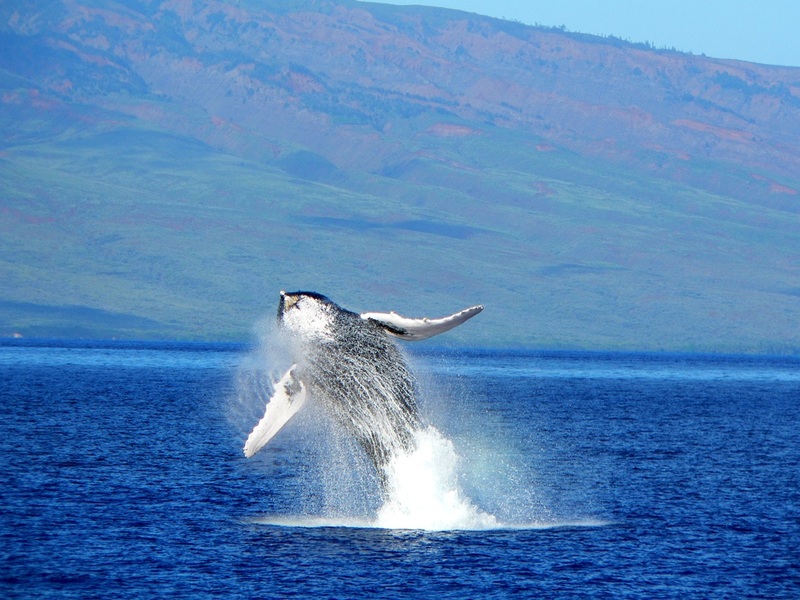 What this means for anyone whale watching in Maui is that the morning hours are often the best for the calmest, smoothest conditions. Late afternoon/Sunset – usually the winds are dying down and the light for photos will be the best, in my opinion. Who doesn’t like being out on the water at sunset? All boats are certified by law to allow only a set amount of passengers. However, some boats limit the number of passengers below the maximum allowed to enhance the quality of the experience. Does the tour boat have a hydrophone they drop in the water to listen to whale songs and other sounds? Most do. Does the tour have and use a audio system or not? 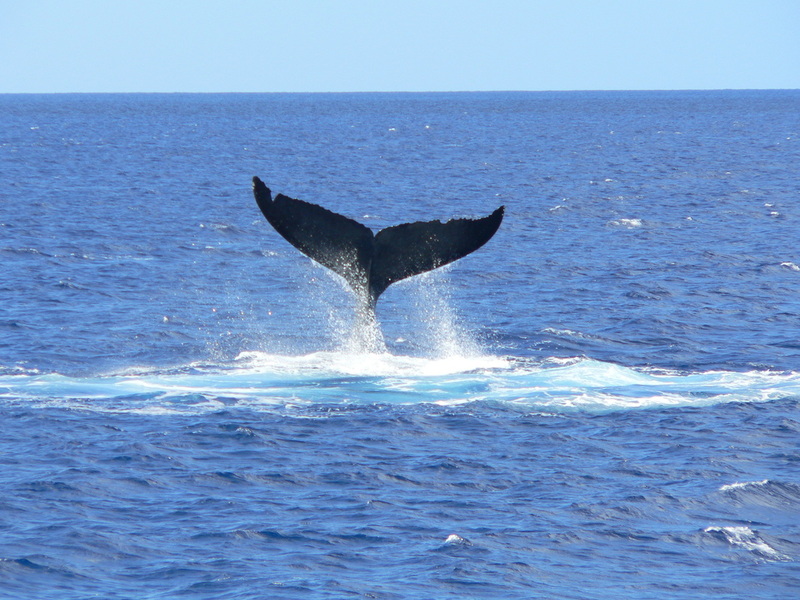 Does the tour operation donate a portion of their proceeds to support non-profits like Whale Trust Maui, the Hawaiian Islands National Marine Sanctuary, or other whale conservation groups? Okay now you should be ready to book. Just let us know what your preferences are and the prospective date(s). Condo Rentals & Activity Booking with Aloha!